If you purchase a lot of frozen foods for your family, you may want to invest in a separate freestanding freezer. This will allow you to have more room – room that the freezer unit that comes with your refrigerator will not be able to offer. There are two types of freestanding freezers. You can choose between an upright freezer and a chest freezer. There are many different advantages and disadvantages to using an upright freezer as opposed to a chest freezer. The type of freezer that you use normally depends on what you are looking for. Regardless of what type of freezer you choose, you will need to maintain it on a regular basis. Appliance Repair Specialists of Tampa can assist you with freezer maintenance or freezer repair needs. Upright freezers generally look like regular refrigerators. 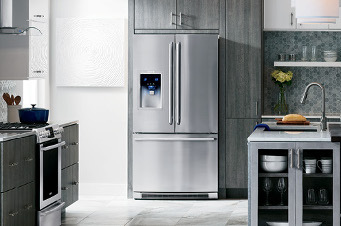 For example, upright freezers feature doors that are hinged on the side of the freezer like a refrigerator. One of the main advantages to owning an upright freezer is the fact that it does not take as much space as a chest freezer. In addition, upright freezers feature bins, racks, and shelves inside. This means you can take advantage of easy organization tools inside of the upright freezer. Upright freezers are normally available in self-defrosting models and manual models. 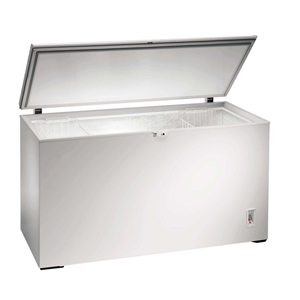 One of the best advantages to using a chest freezer is the fact that it does not cost as much as an upright freezer. In addition, chest freezers are energy efficient and do not use much energy in order to run. Chest freezers are normally used for their energy saving capabilities. In addition, chest freezers can keep the cold in better during a power outage. You will not need to worry about your food going bad during a power outage. Chest freezers come in self-defrosting models and in manual defrosting models. Appliance repair specialists can tell you that upright freezers are more expensive to operate and purchase. In addition, they are not as energy efficient as chest freezers. Upright freezers lose more cold air when you open them than chest freezers. Chest freezers have the ability to store cold better. One of the worst things about using a chest freezer is the fact that they take up a lot more room than upright freezers. In addition, it is hard to organize food in a chest freezer.